Maybe you use a RSS reader like me to keep up with whats happening within your area of research, other areas of interest, news etc. If you are not using then maybe you should give it a try? RSS is an abbreviation of Really Simple Syndication which is used to subscribe to content from a number of websites to a RSS reader. The point of this is to get updates when they happen without you needing to visit the specific blog, news page or other pages which are updating its content often and that you can in a short period of time to go though a lot of content because all you have to read are the titles and maybe an introduction. If it’s nothing that interests you you just go on to the next item on the list. Usage of RSS exploded around 2004 and Google has its reader called Google Reader. in March of this year Google announced that they would shut down Google Reader due to sinking number of users and changed user habbits. This was shocking to many, me included and many started to think which services could be used instead. I have started to use Feedly.com. It’s an add-on to a web browser that you have to install first but not to worry; it is easy. You can then create a new account or logon with your google-userID and easily export your Google Reader content to Feedly. There is an app for Feedly for both IOS and Android and Kindle and they are developing one for Windows phones. Feedly does not exist for Internet Explorer so you need to use e.g. Firefox, Chrome eller Safari. There are other RSS readers that you chan switch to such as Flipboard, Newsify, Newsblur, The OldReader, Netvibes, Pulse, Feedbin, CommaFeed, CurataReader, FeedReader… Some of these exists only as apps for smart phones and tablets. Google is saying that RSS readers is an old fashioned way to consume news, it being very passive way. Google wants us to become more active in our consumption of news. They want to give you right information at the right time though right channel which is nothing revolutionary. Google has developed Google Now which learns your habbits, your interests to be able to deliver what you want when you want it. And since it is on your phone it can use data about your location, time of the day if you are on the road or not and adjust the news it delivers to you. So over time Goole Now will learn what you want to read when you are eating your breakfast, commuting to work or waiting to get on a plane to a conference. Personally, I don’t want Goole New to learn my behaviour at least not in my professional life because I might miss out on news, research and other things which do not directly relate to me or what I am doing but that might still be interesting. I do not want to read what Google thinks it knows I want or should read. In my professiona life I appreciate serendipity. I don’t want to miss that. PS: You can subscribe to this blog. 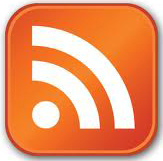 Copy the link and add it to your RSS Reader. This entry was posted in Environmental scanning and tagged Feedly, RSS by Forskningsrelaterat. Bookmark the permalink.